SUNDAY: The Soil & The Sun – What Wonder Is This Universe! I listen to so much music on a yearly basis that it gets to a point where it's very difficult to find music that transcends the normal. It's not that music has become unimaginative or boring but bands all draw influence from someone else and regardless of the genre, music will, at some point, sound similar to something else. Recently, we are seeing genres like chillwave and folktronica explode out of the woodwork and become overwhelmingly popular and because of this, the genres are starting to sound a bit sloppy and boringly opposite of creative. Every now and again though, you are bound to find an artist or band that is able to lay out something that sounds brand new and genuinely original. 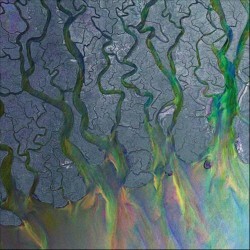 ∆, otherwise known as Alt-J, are one of those few bands who are able to create something so unique that it's like a brand new breath of ultra fresh air. The band's sound is very experimental as they use lots of pop inspiration but combine elements of folk, electronic, and a very eclectic taste of complex alternative buzz. The band does an amazing job of combining these complicated instrumental structures with some more traditional guitar sections and very subtle song lyrics. Although this album is far from being anything accessible, this is by far one of the most interesting debut records I have heard in quite some time. Archive have never ultimately impressed me with any of their music but I was pleasantly surprised with their 2009 record, Controlling Crowds. On that album, the alternative trip hop band from London were able to bring out their true abilities as downtempo musicians. Songs were formed around some angelic vocal arrangements and the beats were as smooth as can be. Everything just felt right on that record and although it didn't remain very high inside my top 50 of the year list, it's still a record a refer back to very often even to this day. 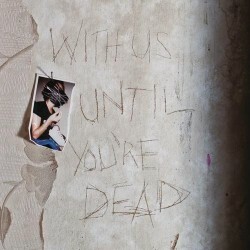 With Us Until You're Dead is the band's newest record and it shows a pretty significant change in overall style and theme than what they have grown accustomed to since their formation in 1994. On this record, the band has basically stripped down to their most basic sounding form yet with little to no wiggle room. The downtempo beats and rhythms that have gained the band so much popularity over the years has almost totally disappeared while alternative pop roots have taken over. Song lyrics have become rather unappealing and seem to do more whining then anything else. The electronics on this record all seem particularly dull and less gratifying than ever before as well. This album sounds like the kind of record that a band puts out after years of success when they have decided to change their roots and begin something terribly different. I guess I can understand why a band doing the same thing over and over for 20 years might want to try something new but this direction was in very poor choice. For years, Animal Collective has been one of the most consistently great bands in all the music landscape. They have always remained as one of the most complex bands as far as song crafting goes and have never been one to stick to a single, certain formula of how they create their music. 2009 saw the release of their massively successful Merriweather Post Pavilion, which brought in a significant amount of newcomer fans. On that album, Animal Collective decided to go in a bit more of an accessible direction, using much more pop influence then ever before and blending in some interesting reggae concepts as well. Altogether, the album was terrific in that it showed a more chilled out side of Animal Collective's idea center rather than just a complicated wonderland of art music. 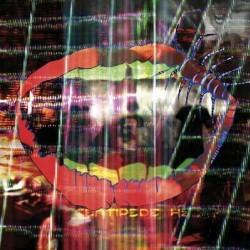 Centipede Hz is the group's newest record and first since Merriweather Post Pavilion and it shows the band returning to their experimental roots. 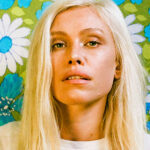 They have left their simpler, less diverse sounds behind in order to pursue a more psychedelic nature. What's odd about this record is that it's the first time in all my years of listening to Animal Collective, that I feel a bit bored and strained. The music all feels a bit convoluted to me and the neo-psych input, although fierce and in your face, just comes across as a bit lame at times. As far as electronics go, the beats on this album remain a staple of what makes Animal Collective, Animal Collective. There are some dynamite ideas on here but in the end, the concepts fall short of what we have come to love and know about the band. 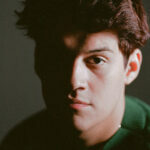 Dark Time Sunshine is the name for the ongoing collaboration between hip hop artist Onry Ozzborn and producer Zavala. The duo joined forces in Seattle in 2009 and have already released 4 full length records, all of which have received generally good reviews from critics and fans alike. ANX is the title of the duo's newest album and is my first endeavor with them. Off the bar, this collaboration seems like a perfect combination. Zavala creates masterpiece beats while Ozzborn creates the rhymes. The electronic beats here are incredibly well thought out and very unique. They fit perfectly with this style of hip hop that people are calling "hipster hip-hop" as the electronic programming is very complex and obtuse. Normally, hip hop beats seem very bass oriented and tend to be a bit stale after a while but ANX is the exact opposite as the rhythms and beats just drive the record home. Ozzborn's verses are where I get a little disinterested with this record though. As a rapper, his style is pretty flat and he doesn't seem to have a tremendous amount of style or flow. When you think about just how important that is for a rapper, it's hard to really enjoy a hip hop record where the lyrics come out flat and without any sense of flavor. I think this record shows some great positives as far as the beat making is concerned but I'm just not sold on Ozzborn as a rapper. 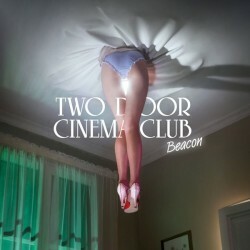 In 2010, Two Door Cinema Club released their debut album Tourist History to some fairly positive reviews. The album showed a young band who was a true up and comer within the indie pop scene especially after a few huge, hit singles. Although the record wasn't anything out of the ordinary, it was still a very pleasant album that was full of catchy, joyful pop songs. It's not surprising to me that the band's sophomore release, Beacon, is drawing up some negative criticism, especially from the critics. I mean, their sound is relatively one-dimensional and the whole "indie pop" thing is hard to pull off consistently when so many other artists are doing the same thing. Getting into this record, I knew what not to expect. This isn't going to be an earth shattering art pop record or some cap off album for any end of the year list but when you go into it with the right mindset, it's actually quite fun. This is an indie pop record in its truest, most sparse sense. Tracks are littered with synthesizers and loads of high note guitar bits with some excessive dance worthy drums. Although their aren't any true standout songs on this album like there were on the band's debut, this record stays extremely consistent track to track. Sure, indie pop music is always subject to raunchy criticism but trust me, if you're looking for something to brighten up a dull afternoon of yours, this record should do the trick. Black Elk is the brand new collaboration between Ian Hawgood, Tim Martin, Danny Norbury and Clem Leek. The group bases their music around some pivotal electronic sequences mixed with some classical arrangements. Hawgood and Martin have control of the electronic arrangements while Leek and Norbury play cello, violins, and piano. 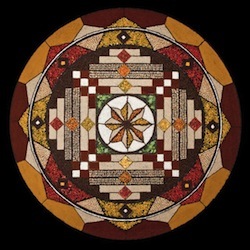 This modern classical style of ambient music is quickly becoming one of my favorite genres and Black Elk really continues to fuel that fire for me. Sparks is the band's debut album and first of two records in 2012. 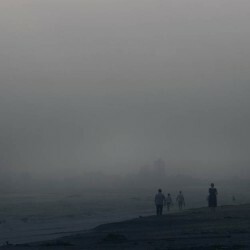 The album paints a very vivid image of a foggy landscape with some somber portraits. This incredibly complex and moody feature is brought to life through the instrumentation and it's just altogether beautiful. I really enjoy how Black Elk makes a subtle combination of modern electronic sequencing and eerie, old school classical arrangements. It ends up creating a very dreary, haunting feeling in your mind as you let the music take hold of you. The morose concepts put forth here musically, although disturbing, are touching and quite beautiful, just make sure to be open-minded when you turn this record on. The Soil & The Sun are an 8-piece spiritual folk group from Michigan. The band started in 2008 as a duo but with the addition of some friends on abstract instruments such as accordion, cello, and oboe, the band has truly blossomed into something much bigger. What Wonder Is This Universe! 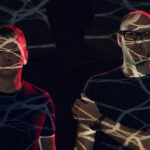 is the band's second full length record in as many years. The album is extremely confident and bright with exploration as the band is going for a very dense, layered sound with plenty of harmonized vocals and arranged instrumentation that hovers over one another. The production is very wide open here as the band explores these far off regions of their sound and it really spotlights the beautiful vocal harmonies that have been put together here. Lyrically and vocally, this album is a big time standout for 2012 but I think without a true identity instrumentally, this album gets lost in the fray. At times, the tracks explore a very atmospheric, peaceful ambient sound while others the guitars and other string instruments come out for a folk, gospel tune. Although I love ambient music and the complex layers of sound that go behind it, The Soil & The Sun don't really bring a decent unique flavor to the table. The music tends to leave a lot to be desired and although you might get caught up in the terrific vocals, the atmosphere is just blank around it unfortunately. Download: The Soil & the Sun – Who Is He, Anyway? It is highly likely that many of you have experience an Andy McKee song whether it was on a record or through YouTube. His music came out of nowhere back in 2006 as people watched with pure enjoyment as this overweight, bald dude played the acoustic guitar like he had 25 fingers. McKee is just truly remarkable when it comes to guitar and he has proven it over and over again on each and every album. 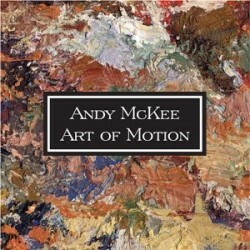 Art Of Motion is not McKee's debut but in a way, it's what really started it all for his career. The album is like an acoustic guitar dream sequence and all it does track after track is make amateur guitar players around the world hate themselves for not being able to keep up with even a single note McKee plays, myself included. If you go into McKee's catalogue, this album is where most of his most famous tracks reside such as "Rylynn", "For My Father" and "Drifting", all of which are masterpiece guitar sections. The fact that McKee is able to play 3, sometimes even 4 instruments within his single guitar at any given time over the course of this record is unheard of. He creates this subtle band that invents a beautiful atmosphere for his acoustic guitar to roam freely and the combination is extraordinary. There is no doubt in my mind that McKee is among the true elite guitarists in the entire world and he may be the complete best in all honesty. Art Of Motion is the most complete work from plausibly the most complete guitarist on the globe. What more can I say? I loved every part of this post- interesting insights and exposure to tracks I didn't know from bands I did, and a few really interesting bands I knew nothing about. Love the Straight from the Teet series! Keep up the great work!